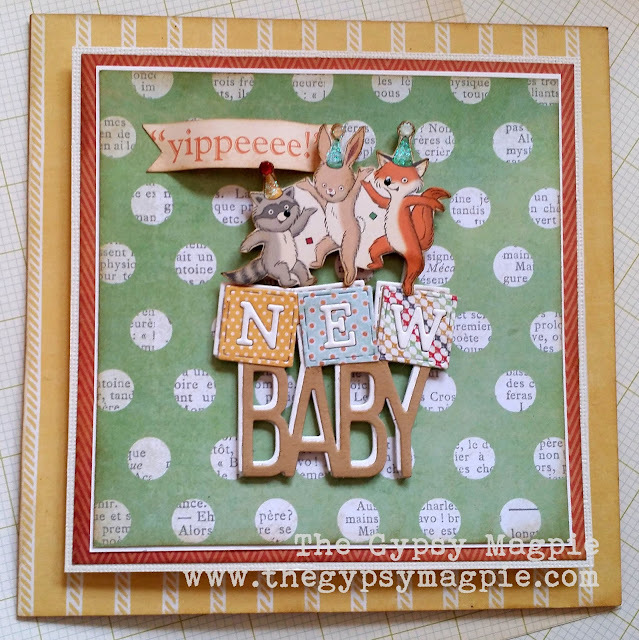 Baby cards are something I don't usually make a lot of. At this point in my life very few of my friends are having babies- instead, most are waiting for grandbabies one day! 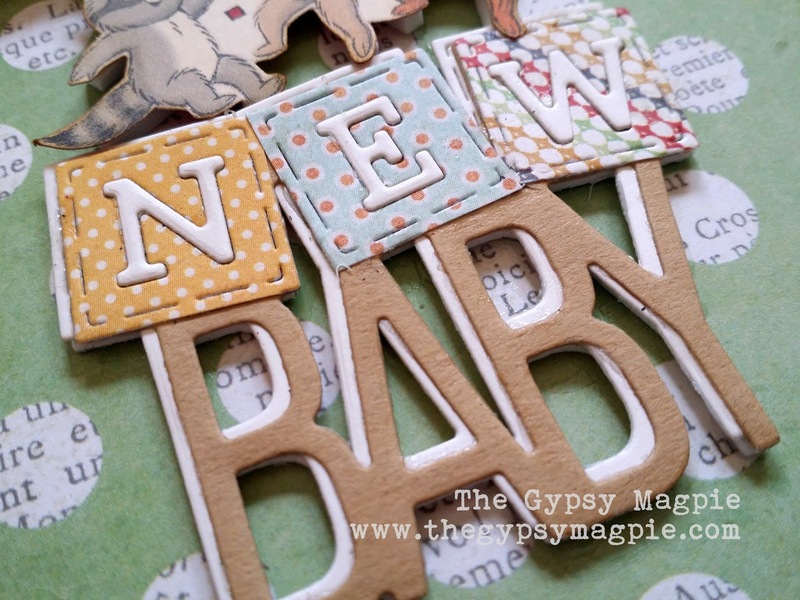 The new Baby Blocks die was the first one in a series that I wanted to play with. It's clean and simple and I loved the faux stitching around the edges of the blocks. It took a little searching through my paper stash to find those with patterns tiny enough not to overwhelm the block size. Once I found some papers, I completely loved the look! A white drop-shadow behind the blocks and sentiment brought the whole thing to life. For quite awhile I'd been holding on to one last sheet of an October Afternoon paper from their birthday line. The little 'party animals' have made me smile every time I've pulled it out and I was finally going to be able to use it. 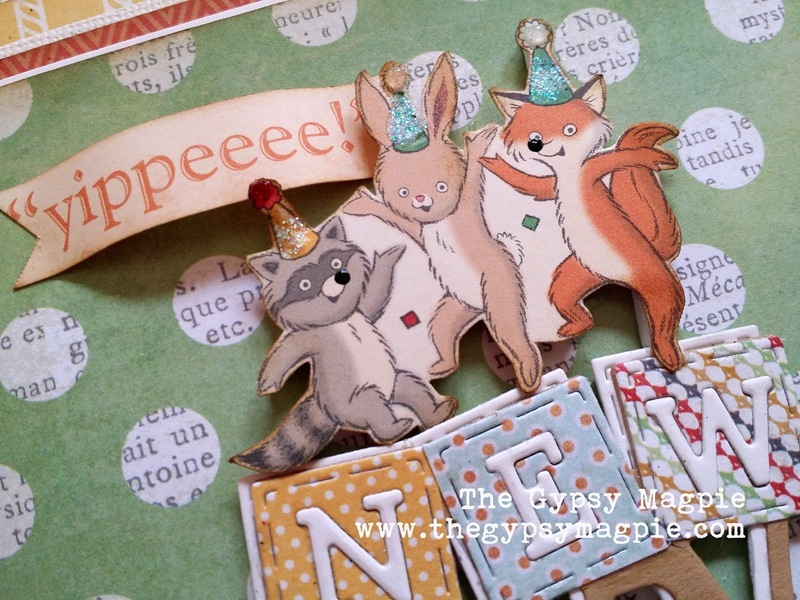 I picked out a few of my favorite creatures and fussy cut them out so they could do a little dance on top of the blocks! Best of all, one of my friends actually is having a baby next month and now I'm one step ahead of the shower now that her card is done!